Formulate value is the first of four value blocks in our Engage to Deliver Value approach. First off, we define the right key question. Together with our client, we look for a specific, measurable, action-oriented, relevant and time-bound formulation of the business problem encountered. “How do we achieve a 30% increase in the bottom-line over a period of 2 years through product innovation?” Throughout the project we gain progressive insight into the business problem, which allows us to turn the right key question into a better and best key question. We also determine the high level performance gap. This provides us insight into the improvement potential. 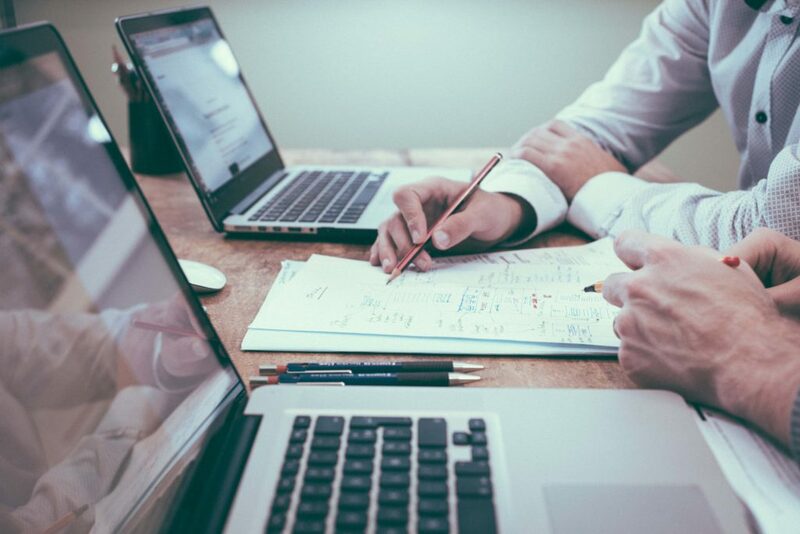 “How much better can our client perform? 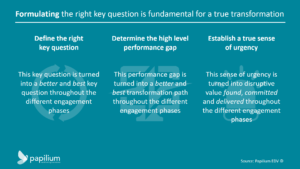 What are the main levers for this potential improvement?” Throughout the different engagement phases, the performance gap is turned into a better and best transformation path. Overcoming complacency and a false sense of urgency, we establish a true sense of urgency by applying tactics that conquer not only the minds but also the hearts of all stakeholders involved. Everyone placed both feet in the starting blocks, ready to tackle the transformation program. If you’re eager to know more, don’t hesitate to contact us through our contact page. © Papilium cvba. All Rights Reserved.